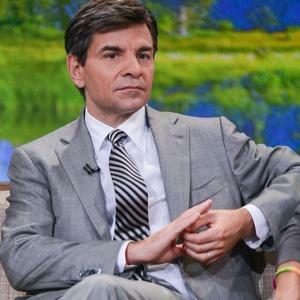 I didn’t like it when I heard that George Stephanopoulos had left politics for journalism. I figured that he was only being rewarded for his political stardom, that he wouldn’t do the necessary work to transform himself into a serious journalist, and that–yes–he would use his media perch to act as a shill for the Democratic party. Over time, I earned a grudging respect for Stephanopoulos. He seemed to actually be a substantive journalist, and while I didn’t follow his media career closely, I did see instances of him holding Democrats’ feet to the fire. I figured that maybe I was wrong about Stephanopoulos; maybe he did have the ability to shed his political past and become the type of journalist that both Democrats and Republicans could count on to be fair and impartial. In 2012, 2013 and 2014, Stephanopoulos made $25,000 donations to the 501 nonprofit founded by former President Bill Clinton, the foundation’s records show. Stephanopoulos never disclosed this information to viewers, even when interviewing author Peter Schweizer last month about his book “Clinton Cash,” which alleges that donations to the foundation may have influenced some of Hillary Clinton’s actions as secretary of state. Stephanopoulos did not point out that the Sunlight Foundation is funded by left-wing billionaire George Soros. “It is incomprehensible to me that after George Stephanopoulos went out of his way to state on-air that I wrote speeches for President George W. Bush, Stephanopoulos hid from viewers the fact that he is himself a major Clinton Foundation donor,” Schweizer said. One reason Stephanopoulos made such a graceful switch from pol to pressie is because there isn’t much to making the switch. As long as you can do the work, the journalism profession doesn’t care if your last port of call was a federal penitentiary. Other politicians who have successfully crossed over to the TV news racket include Mike Huckabee, Joe Scarborough, Tim Russert, John Kasich, Jerry Springer, Susan Molinari, Diane Sawyer, Mary Matalin, Chris Matthews, Bill Moyers, Bay Buchanan, Al Sharpton, Bill Bradley, Dee Dee Myers, Dana Perino, Lawrence O’Donnell, Nicolle Wallace, Karl Rove and others. Most politicians cross over to media with the understanding that they will continue their partisan ways. But others, such as Stephanopoulos, Sawyer and Russert agree implicitly and explicitly to leave that baggage behind. In shelling out $75,000 to the politically identified Clinton Foundation, Stephanopoulos has betrayed that compact, torched the journalism-cred he has acquired in the past two decades, and obviously forgotten the lessons in political savvy he learned as a member of Bill Clinton’s inner circle. He knew going into ABC News that his reporting and his personal actions would be extra scrutinized for bias. I find it implausible that he did not understand in 2012, 2013 and 2014 (the years he gave the Clinton Foundation cash), that his contributions would be an issue with his employers and his viewers once discovered—even if they were just sitting there buried on a website for anyone to stumble upon. As we conduct the dumb, dumber and dumbest inventory of Stephanopoulos’ humiliation, we must ask why it was necessary for him to give anything to the Clinton Foundation? In his first statement to Byers, he said he gave to the foundation because he believes so deeply in the AIDS and deforestation programs administered by the Clintons. Surely, a politically neutered foundation that does equal or superior works in those areas would accept his philanthropy. Surely, when Stephanopoulos cross-examined Peter Schweizer, the author of the Clinton Foundation exposé “Clinton Cash,” on the April 26 edition of ABC’s “This Week,” the meta aspect of the segment must have occurred to him! But, no! Stephanopoulos bowls right through the interview without any acknowledgment of his cash endorsement of the Clinton Foundation! I would add, of course, that it’s also precisely the type of thing you could imagine any next Clinton administration doing without compunction.